A video showing an armoured vehicle killing a 'cash in transit' robber by driving over him, has been circulating on social media. The heist happened on October 2 in Krugersdorp. A G4S crew was attacked by a group of five armed men. A G4S Security officer was shot in the leg. The robbers fled in a grey Audi Q7 with an undisclosed amount of money. 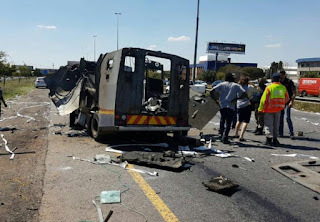 According to a leaked report there were 409 cash-in-transit heists between April 2016 and March 2017. 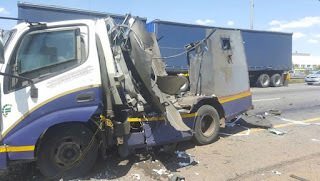 Cash-in-transit heists surged from 254 the previous year. A banking security expert said heist perpetrators operate with virtual impunity. 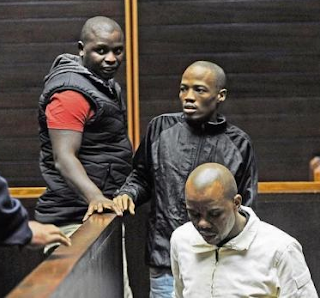 He pointed to a cash-in-transit robber arrested for a fifth time while he was out on bail for four previous robberies. The high-stakes thefts often employ explosives and advanced, high-caliber weaponry. The true cost can be measured in blood. 16 people had been killed this year. Among them were seven security guards‚ two policemen‚ a bystander and six gunmen. Cash losses have amounted to nearly half a billion rand since 2014. 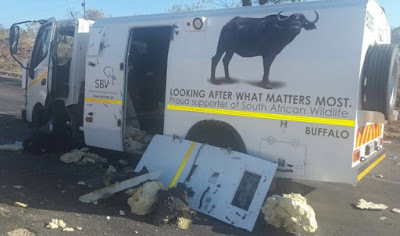 (more than $ 35m USD, a vast sum in South Africa) Gangs of well-trained gunmen have made off with over R106 million in 198 separate reported heists this year, a figure claimed to be far too low.